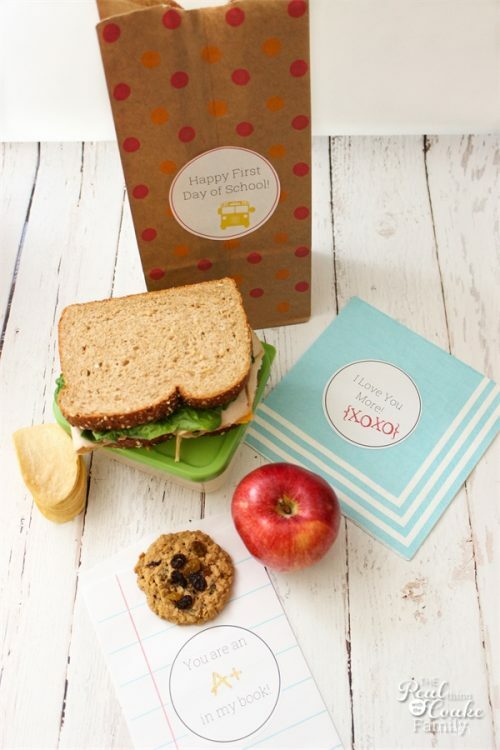 With last year being my first year to have a child in the school system, I enjoyed finding cute school lunch ideas. Of course, things fizzled out a bit as the year went on. 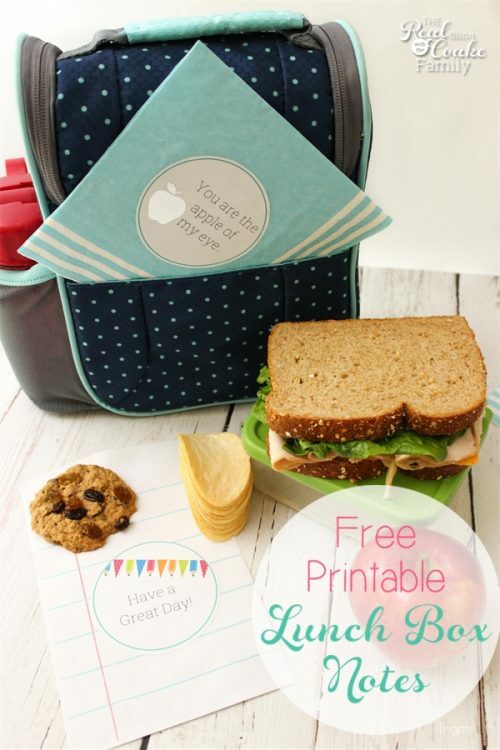 So, this summer, I came up with a cute, simple printable that I can use to add some cuteness and love to my daughter's lunch without embarrassing her. 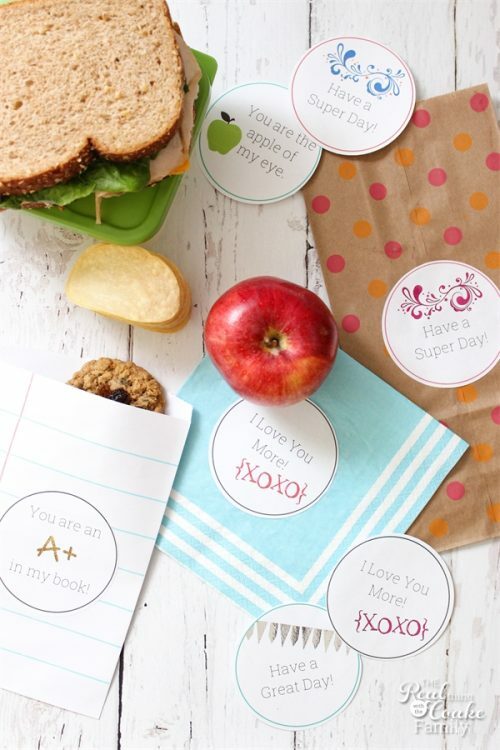 I created these cute stickers that I can easily print out ahead and quickly and easily add to a lunch any day. Of course I have one that is specific for the first day of school..which will be fun! I've got the free printable and the full idea for you today. 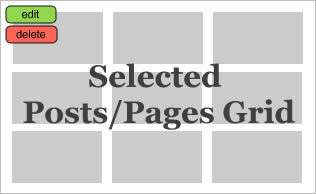 (affiliate link) or regular paper, cut them out and you are ready to go. (affiliate link)…now they are foiled and extra pretty! Fun! The stickers can be added to anything. If you use brown bags, you can add them to the front. 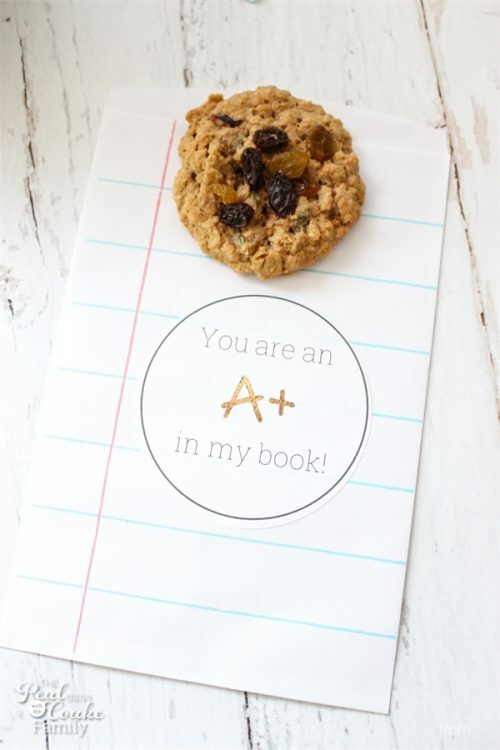 You can add them to a napkin or a cute little bag for a cookie. 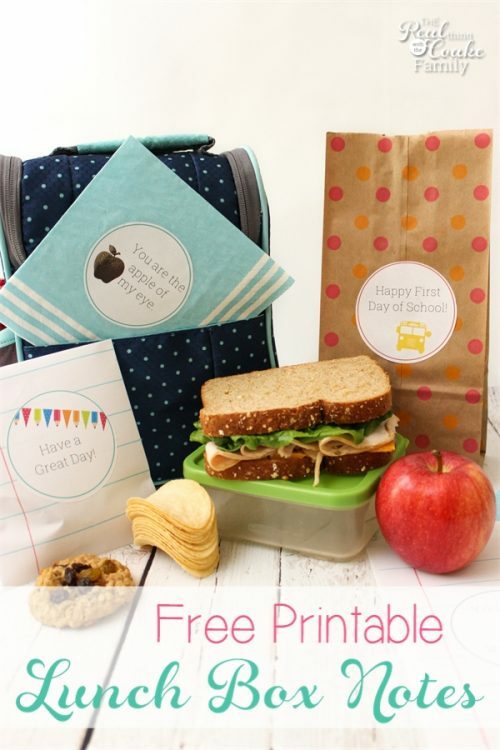 If you print them out on paper, you can place them in the lunch box and you are good to go. This was crazy easy and simple and I think will add some fun to our school lunch ideas this year. 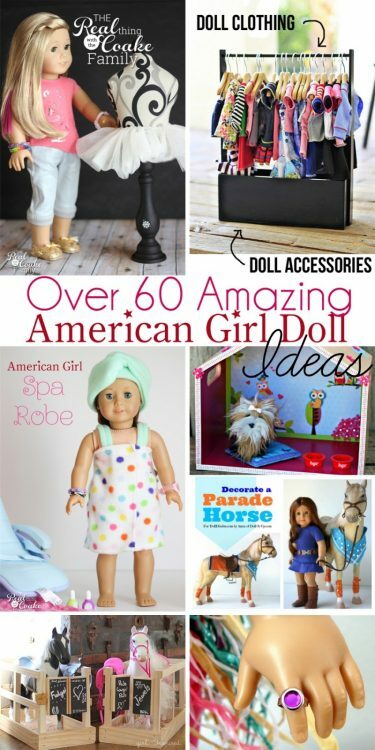 I love being able to send a little something with my daughter so she knows I”m thinking of her. The fact that these are cute and that I foiled some of them should help me retain my ‘cool mom' status. Whew! The free printable comes with a color version and a version that is black and white in the middle. The black and white version is meant to make it easier to foil your school lunch box notes. What are your favorite simple and easy school lunch ideas? Very cute! Great idea to make your kids feel special. 🙂 Thanks for sharing at the Family Joy Linkup! How fun are these. I still like adding notes to my 14yr old daughter’s lunches. Thanks for sharing at the Inspiration Spotlight party. Shared. Thanks! I love adding notes to my 14-year-olds lunch as well ! And she still likes getting them…Yay! Congratulations! This post is going to be featured over at Diana Rambles tomorrow and has been pinned to the Featured at Diana Rambles board at Pinterest and Tweeted. Thanks for sharing this awesome idea!